Any free pass worth it? I bought Enoshima-Kamakura Freepass from Odakyu Sightseeing Service Centre located at Shinjuku Station during my visit in last December. The freepass includes a round trip ticket from Shinjuku to Fujisawa (We topped up the limited express surcharge to ride on Odakyu Romancecar and traveled to Katase-Enoshima instead), unlimited rides on Enoden line (Enoshima electric railway) and discounts on participating facilities such as Enoshima ESCAR, aquarium, lighthouse observatory tower etc. For more info on this freepass, refer to odakyu website. I read that you wish to ride the Shonan monorail, for that you have to ride from Ofuna station which is about 51 mins from Shinjuku station. You may get the Kamakura-Enoshima Pass (JR) which includes unlimited rides on Kamakura-Enoshima Shonan Monorail, JR Line between Fujisawa Station, Ofuna Station and Kamakura Station, and Enoshima Electric Railway. You can buy this pass at JR Ofuna, Fujisawa, Kamakura and Kita Kamakura Stations only. Hi hi, can give some advice. I would be travelling with kids and elderly from Kansai Airport to airbnb at Nippombashi area. 3) What about the return train tickets from Nippombashi to Kansai airport? there is no direct train from kansai airport to nippombashi. there is no reserved tickets for the nankai airport express train, or the JR Kansai airport rapid service. only ltd. exp haruka has reserved seats. and even then, u will probably be able to get tickets on the spot. for nippombashi, there isnt much time difference taking ltd express haruka or normal train. so i would suggest just take normal trains which cost a lot less. There are many trains to central osaka like nipponbashi area. dun think u need to make any online reservations. Apologies but I saw the Osaka amazing pass (1-day & 2-days). Have anyone bought it and found it to be useful? If I am only targeting 1~2 venues per day (eg. airbnb --> Osaka Aquarium --> Dotonboki --> airbnb), does it make sense to get amazing pass? Or just a suica is sufficient. amazing pass can go visit many places for free, but does not cover osaka aquarium. if u have no plans to visit the free places, then not worth to get the pass. each subway trip costs around 180yen or 230yen within osaka city only. you can purchase/top up icoca card instead. osaka does not sell suica card. 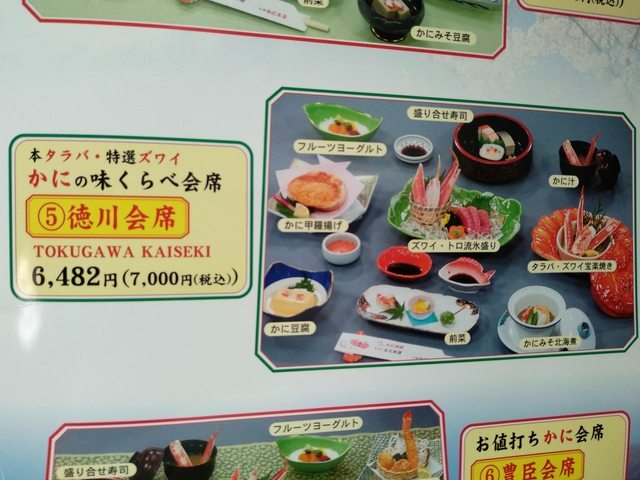 can recommend a place for 1 person to eat snow/king crab which is not to costly in sapporo? King crab i think kani honke got, not sure how much the whole crab is as i ordered one of the sets. My set got the leg i think? Various price range for the sets. You could try your luck at the two morning markets too and see if any stalls selling individual legs. 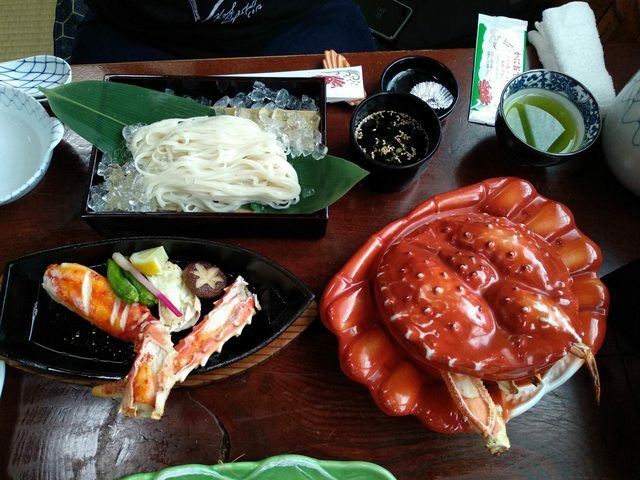 Anyway like saffron said, kani honke has lots of crab. 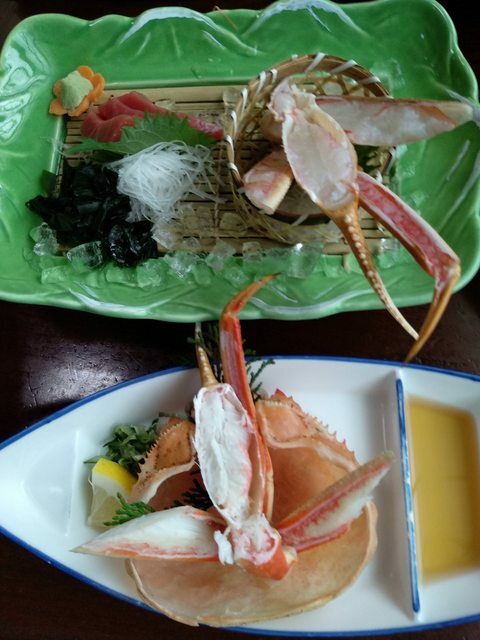 Wife and I had one set with snow, hairy and King crab. Last edited by deodorant; 04-11-2018 at 11:52 AM.. Anyone can help recommend Kobe Beef teppanyaki, preferably around 15k yen, max 20k yen? A lot i see from googling end up showing wagyu beef in the menu. Tempted to try Shima Steak. Last edited by shadow84; 05-11-2018 at 10:18 AM..
Steakhouse Satou for Matsuzaka beef then. Affordable too.